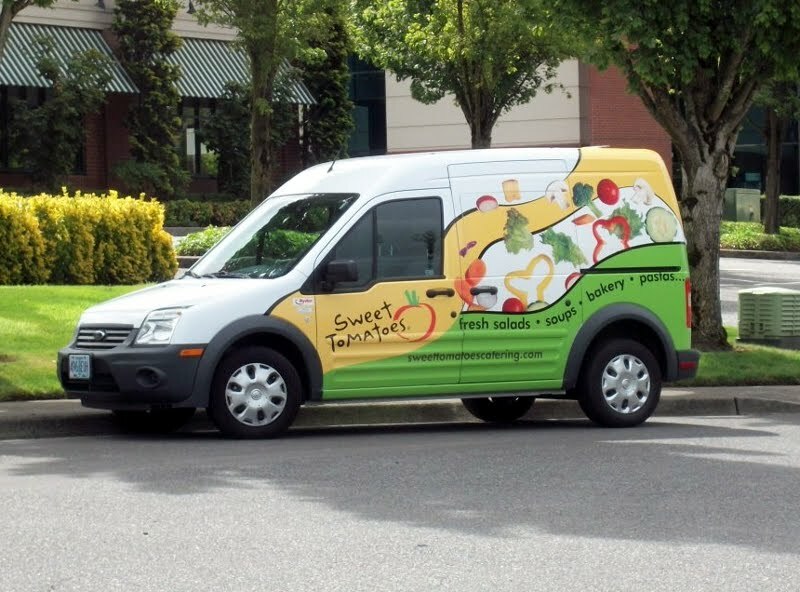 I can't speak for where you live, but here in the Portland there are a lot of Ford Transit Connects. My wife, Mercedes (yes, I'm a car fiend and am married to a woman named Mercedes), spotted this Sweet Tomatoes-branded Transit Connect outside of Lake Oswego, OR the other day. It just goes to show that businesses of all kinds seem to be embracing Ford's tiny transit van. By the way, does anyone else feel the need for a salad? They're starting to be popular in Vermont too. I wonder when other manufactureres will follow suit?